Si vos vere postulo impetro in BETA mox steve@famo.us ad minim veniam. Sciam si vestrae res et faciam te in BETA possim. April 9 Si ad res, in prima acie, simul te BETA. If you really need to get the Beta as soon as steve@famo.us more information, I come. I am able to rest assured that if your situation and I will make of thee in beta. April 9 On the real thing, in the front line, at the same time you beet. Posted by willhlaw in Administrivia, API, Food. Last night, I was with some friends at a greek tapas restaurant in Washington, DC, Cava Mezze. The menu has several small plate items and everything looked delicious. 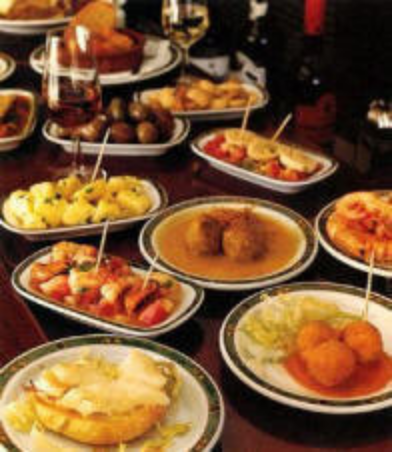 We had eaten at another Cava restaurant at least once and forgot what we had ordered and what was good. That is when I wished there was an app I could pull up on my phone to see what our friends thought of particular menu items. One did not exist, but we all thought at the table how useful that would be. I had heard of startup companies starting to digitize restaurant menus so that I knew the dishes would soon be available, if not already, as APIs. We then ideated about a dozen ways we could build an app that would be useful for finding recommendations on specific menu items and dishes as well as incentivizing users to rate the food they just ate. Here is a summary of my morning market research into the possibilities of aggregating menu information or using an app that you can quickly discover how good a particular dish is at a nearby restaurant. I started at the programmableweb and opened up every single “food” API in a tab that mentioned food data, dish, or menu. I later looked at popular Q&A site Quora. all menus – Has a sophisticated restaurant and menu api that offers hundreds of thousands of restaurants and you can search menus by city. All Menus appears to be very developer friendly and even offers an interactive documentation api site. Documentation is also enhanced by Mashery and interestingly, their support contact has a grubhub address. Perhaps because their search results has buttons to online ordering that point to GrubHub. chownow – Digitizes restaurant menus to offer mobile and Facebook ordering. Chow Now has an API that is private so you have to contact them for access and documentation. food genius – A Chicago startup that started out as a “netflix for foodies” but ended up pivoting to deliver data to the restaurant industry. They get their data from other parts of the web, particularly grubhub. Checkout this video where they use their API to find the best curry in Chicago. They are involved with conferences and other food innovators at the food+technology blog site. This is where I learned that there is a lot of activity in this arena. Food Genius encourages developers to use their API to create consumer apps and to start, they have created a website, foodgenero.us which gather’s people’s tastes on dishes and also donates to Feeding America to end hunger. Food Genius is very developer friendly and they offer examples in python, node.js, and php. Nice work. food spotting – This is the app that we were pretty much thinking of last night. It provides a social way to discover a dish that you want and provides a pretty easy way to review dishes. They have even gamified it through a concept called Guides that individuals can create, almost like songlists, and even offer badges for others to win if they “spot” enough of the foods on the guide. I never realized finding, eating, rating food could be loved so much. 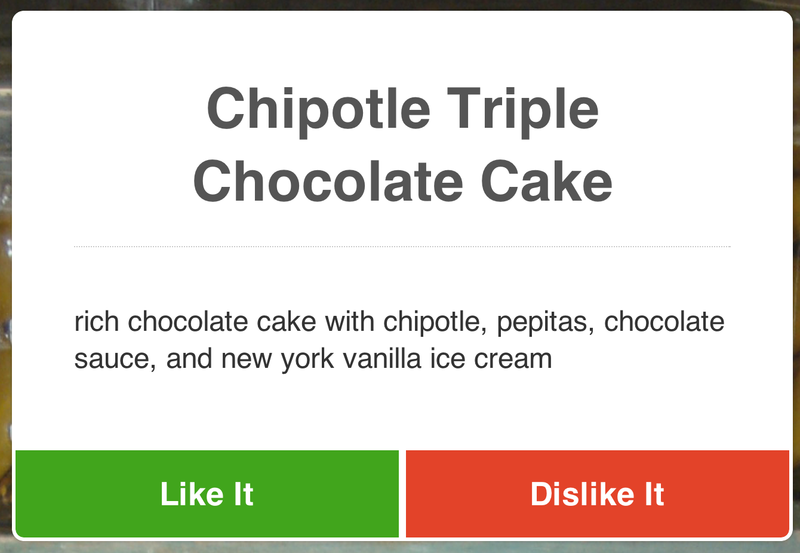 Food Spotting’s API is language agnostic, Restful and seemingly developer friendly. grub hub – GrubHub appears to be the premier website and app for ordering food online. GrubHub allows you to rate a restaurant with a star system but it also shows reviews from Yelp. The ordering for each menu item is detailed and they make it a point to tell you the delivery or pickup availability. GrubHub’s home page allows you to search a location and an optional keyword for restaurant name, food genre, or food type. The search results offer a list view and a map view. Grub Hub has little information on an API and according to the founder’s response on quora, their semi-API (I have no idea what that means) is Private and you have to contact them. locu – This is an up and coming startup that is focused on offering restaurants easy ways to publish their menus online. I am not sure where they are getting their menu information. More information will be revealed most likely when they fully launch. open dining – Offers a platform for restaurants to create a digital menu and ordering system for us on mobiles and Facebook. This is a lot like chownow. Their API is developed and targeted towards ordering apps. open menu – Openmenu.org and Openmenu.com wants to become the industry standard. There is a simple search (with no map) for a dish around a certain location. Open Menu has a format specification for the restaurant and for their menus. Their APIs are fully developed, as it is the org’s main goal, and examples are provided only in php. single platform – This New York company looks like it has a very strong backing and claims to be the world’s largest provider of menu items. They seem to be concentrating on signing up Washington, DC businesses because on their homepage, they highlighted a local cafe that we love, Lost Dog Cafe. This link points to a w.singlepage.com URL but interestingly enough, Lost Dog Cafe also has a GrubHub menu. I bet that the Lost Dog owners were searching for an online solution and when they checked out SinglePlatform, the singlepage was automatically created. Singe Platform has a private API that requires registration before you get any documentation so essentially no information is available. Start using foodspotter and grubhub now. Follow getfoodgenius and locu. Watch the industry as the open and platform menu players grow. Use the apps and APIs and then see where the experience falls short and consider developing an app that fulfills that need. For instance, consider an app with augmented reality that shows the highly rated items as you point your phone’s camera at a restaurant’s menu to help you decide what to order.